Every once in a great while a new author bursts on to the scene that is so different from everything else being published I have to sit up and notice and shout a bit about it. 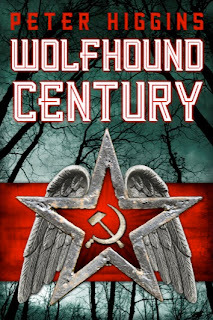 This year that author is Peter Higgins with his debut Wolfhound Century. It is a strange novel to be sure, but that is its greatest strength. Think China Mieville with more of a Slavic Folklore bent, but with the speed of a LeCarre novel. If that sounds like a heady mix it is yet a good one and making it feel startlingly original. Higgins has published short fiction in such places as Asimov's Science Fiction and Fantasy Magazine, but his novel was my first exposure to his work. It certainly won't be the last. 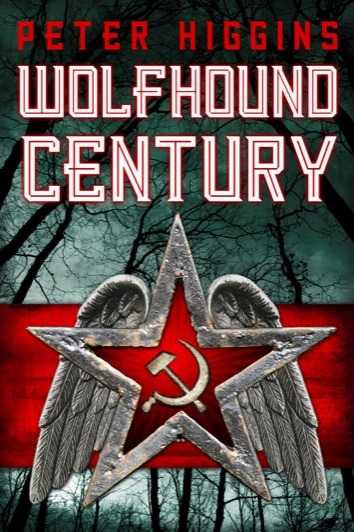 MH: Wolfhound Century is a dark, fast paced visage of a Russia that never was. But it is so much more than that. What is your barroom description of Wolfhound Century? HIGGINS: If I’d just arrived in the bar, I’d say that Wolfhound Century is an SF-fantasy-thriller set in an immense totalitarian state, the kind that spies on and murders its own citizens, but it's also a world of giants and golems and sentient rain, with an alien presence deep in the endless forest. There are elements of Russian and central/northern European history, art and literature lurking beneath the surface, if you want to look for them. If I’d been in the bar for a while, I’d say it was inspired by books like Gorky Park, but written by someone who’d read a lot of Gene Wolfe and John Crowley and the folklore of the endless Slavic forests, and had grown up in the Cold War, with a life-long attachment to the dark, extraordinary history of Soviet Russia. Someone who’d read Nabokov’s memoirs and random pages from the 1914 edition of Baedeker’s Russia. I might add that one of the root ideas is that painters like Chagall and Malevich weren’t painting abstract or fantastical parables, they were simply recording what they saw. And if I was still there at closing time, I’d be talking about the archetypal 20th century struggle between, on the one hand, the totalitarian idea of the individual as an atom of the state, subjected and reduced by the overwhelming forces of history, party and state, and on the other hand, the conception of each and every human being as a huge and partly unconscious world of emotion, perception, imaginative potential and creative imagination. Then I’d have to get my coat and go home. MH: What came first? The world, the angels, or Vissarion? 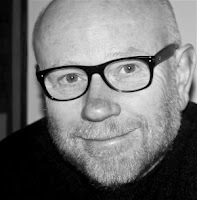 HIGGINS: The world came first, definitely, or rather, two worlds: a northern and central European world of slow rivers, birch forests, wintry Baltic shores, and that 20th century world of revolution and war, marching crowds and gulags and state police, writers and artists and composers and dissident intellectuals. MH: One of the themes I was struck by was the land fighting back for its very survival and you've given them avatars of a sort with the palubas. Which gives it a very Robert Holdstock vibe. HIGGINS: I’m glad you mentioned Robert Holdstock! 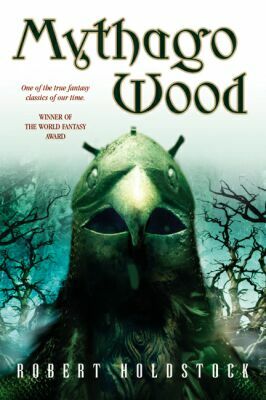 I’m a huge fan of Mythago Wood, and even more of the sequels like Lavyondyss and The Hollowing, where the things in the wood get wilder and more extreme. It’s astonishingly vivid and free and unconstrained writing. I find Holdstock’s imagination massively inspiring. The idea in Wolfhound Century that the world – not just the forest but the rain, the air, the mud, the rivers – are watchful, active and potentially dangerous, owes a huge amount to him. So the forest in Wolfhound Century – its endlessness, the avatars that come out of it – is proudly Holdstock-ish. But Holdstock’s wood is very English: superficially, on the outside, it’s small, only a couple of miles across, and in a specific, almost-mappable English location. Only when you go in and get lost there do you learn how immense it is on the inside. It draws you in, dilates time. And nothing escapes from it: the mythagos that cross its borders soon fade. The forest in Wolfhound Century, on the other hand (like the forests of Russia and central Europe) really is huge. It dominates the psychic terrain. The regime tries to close the forest off and blind the people to it, but their cities are full of forest things. Forest presences. Forest influence. Several of the principal characters themselves have forest roots, which they grow more aware of and try to understand. And the forest asserts itself: it reaches out and participates. As you say, it fights back. Fangorn and the ents are in there somewhere. This concept – panpsychism, sentient matter – shaped my thinking about the Wolfhound Century forest, and also about the angels: where they come from, what they’re made of, how they do what they do. And what unfettered or assisted human perception can tap into. MH: With Wolfhound Century you've subverted Stalinist Russia as well as Slavic mythology, but this is clearly not the Russia we know. Possibly a deep past alternative history, but this world appears very much separated for ours. Are you worried that people will feel you've appropriated a culture? Have you had any feedback from Russian natives? HIGGINS: No, I really don't feel like I've appropriated another culture. As you say, in Wolfhound Century I’ve drawn on Russian history and culture. I haven’t taken them straight, I’ve re-imagined them and mixed them up with other things that aren't Russian. I’ve felt a responsibility to my sources and I’ve tried to write as well as I can. I'm very much aware that the history which my book stands sideways to was real – millions died and millions more had their lives ruined – and I've tried to let that awareness show through in Wolfhound Century. How far I've succeeded, whether I've always got it right, that's something for readers to make their own minds up about. It's not for me to say. But I’ve never worried that this book, the way I've written it, was trespassing across some kind of frontier into another culture's territory, and personally I don’t think the artists whose work I’ve drawn on – including writers like Mandelstam, Akhmatova, Pasternak and Nabokov, and painters like Chagall – would recognize that idea of their cultural separateness – those barriers of difference – either. If I can give you one example of what I mean, Mandelstam was Russian but he wrote about Charles Dickens, Beethoven, Rome, the ancient Scottish poet Ossian, Hagia Sophia in Istanbul and Notre Dame in Paris. He saw continuity between ancient Greece and Russia: he said they met on the shores of the Black Sea. And he specifically denied the relevance of personal background to his work: of himself he wrote, 'it is enough to speak of the books he has read, and his biography is done'. Other writers and artists I've drawn on maybe wouldn't use such stark terms as Mandelstam, but they all have the same deep involvement with a culture that goes way beyond Russia. They're part of a shared, complex, three-thousand-year old, wide-ranging, multi-linguistic, allusive tradition. It's one culture, modernist and frontierless, that may take account of local and national differences and inheritances but isn’t limited by them. And the precarious existence of that culture in a totalitarian state is part of the story Wolfhound Century is trying to tell, and it’s part of its way of trying to tell it. I’m sitting at home at the moment, about 1300 miles from St Petersburg. The idea that, somewhere between here and there, there might exist a line of separation, a cultural and historical boundary drawn across Europe, doesn't feel right. That’s one of the reasons the Cold War was so cruel and why we celebrated when the wall came down. But even when the Cold War was at its height, we read books and listened to music and watched films from the territories of the Eastern Bloc. I don’t know if maybe someone 1300 miles away from me in St Petersburg is writing an SF fantasy about a weird version of London during World War II, with a Prime Minister who’s a bit like Churchill and with writing that draws on Dickens or Virginia Woolf or Dylan Thomas. But I hope someone is. That would be awesome. And it would be fantastic if Wolfhound Century finds Russian readers. I'd love to know what they make of it. Of course, they’ll see that it’s not written in the same way that someone who lives in Russia would have written it. The imagined elements in it are my response to, my engagement with, Russia and what happened there, but it’s written from my perspective and it couldn’t be anything else. MH: Do you have a favorite Russian folk tale? And if so did you integrate it into the Wolfhound Century in some form? HIGGINS: Well, there’s a fantastic tradition of Russian folk tales. Sadko. Prince Ivan. Baba Yaga. The Fire Bird. The Snow Maiden. They’re part of the background to Wolfhound Century, certainly, they’re in the air: but in terms of integration into the story, they’re not really primary sources, as far as I’m consciously aware. More specific sources were Siberian shamanism and the Slavic folklore of the wild forest. The palubas that come out of the forest and the wind-walker in the White Marshes are based on Slavic conceptions of wood spirits. 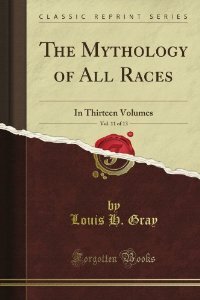 I found a lot of material for the forest in a collection from 1918: The Mythology of All the Races, edited by Louis H Gray, particularly the Slavic and Finno-Ugric volumes. And the Pollandore and the mythology that surrounds its creation owe a fair amount to the story of the Sampo and other parts of the Kalevala from Finland. MH: Wolfhound Century ended a bit abruptly. What made that a good breaking place and what can we look forward to with the sequel Truth and Fear? HIGGINS: I thought you might ask me about the ending! There is a longer story arc and I wanted to leave Wolfhound Century with a sense of doors opening rather than closing, and - for the characters - a return to battle with a greater sense of who the enemies are and what's at stake. Not an ending, but a moment to take breath. 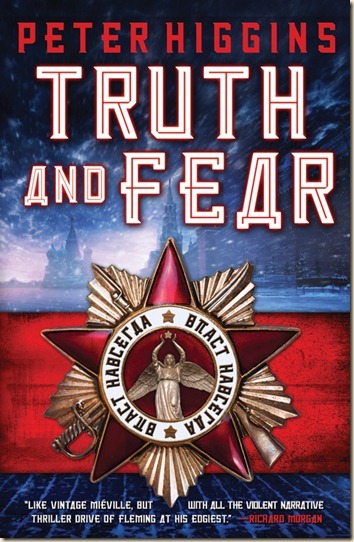 Like Gene Wolfe, "Here I pause, having carried you, reader, from gate to gate......"
Truth and Fear, which is coming out early in 2014, widens the story out. I'm not going to say too much, but you'll see a lot more of the bad guys and what they're up to, and more about some of the things that were off-stage rumblings in Wolfhound Century, as well as other quarters of the city of Mirgorod and some new places on the continent. HIGGINS: "If someone tells you you’re doing too much of something in your work, then do it more, because that's your true voice." A friend who's an artist told me that. HIGGINS: For winter, a pull-on woolen cap: the acme is a Kangol Squad with a cuff. 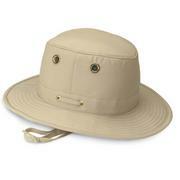 For rain and sun, a crushable bush hat in buffalo hide, easy to shove into a backpack. And for all seasons and all purposes except looking natty, there was my white canvas Tilley “Endurable” T3 Traditional, in many ways the finest of them all, which alas I seem to have lost. MH: Sorry about the hatloss. Always remember a lost hat is never forgotten. I feel your pain having lost one of my old standbys last year. I also have a different hat for each season. Well, multiple hats for each season. Another important, life directing question: Scotch or beer? HIGGINS: If I've just tramped twenty miles across Scottish moorland through mist and rain, then Scotch, but otherwise definitely beer. MH: What books are you reading at the moment? HIGGINS: Not for the first time, I'm making a determined attempt on the lower slopes of Gravity's Rainbow. MH: That's a heavy one. I appreciate all your time. Is there anything you'd like to say to close us out? HIGGINS: Just to say, thanks for inviting me to do this. It's been a lot of fun. I'll be lurking somewhere at World Fantasy Con 2013 in October if anyone wants to say hello. Great interview. Very interesting advice about writing and finding your true voice. Do you have a specific example of something you were told you "did" too often, only to realize it was part of your true voice coming through in the work? Thanks for sharing!